It will see the creation of a new ‘open access’ military mental health hub for veterans and their families, giving ‘on the day’ support for those in desperate need - speeding up the time service heroes can begin their treatment. The former Cowplain officer - who was diagnosed with post-traumatic stress disorder (PTSD) after his time in Iraq - welcomed the fact veterans would be involved in supporting their fellow comrades. 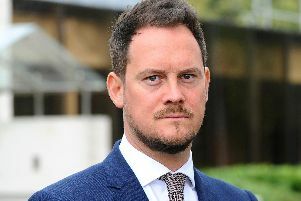 Former soldier Daniel Arnold, co-founder of Portsmouth-based forces group All Call Signs, said it was ‘positive to hear’ such a ‘substantial sum’ had been ‘ring-fenced for veterans’ in the city. The news comes as campaigners from Portsmouth today prepare to head to Whitehall to take part in a major debate into Britain’s suicide epidemic among veterans. The parliamentary hearing is due to take place from 4.30pm and has been organised by Stephen Morgan, Portsmouth South MP.